Since their appearance in the 1800s, the Italian criminal societies known as the Mafia have infiltrated the social and economic fabric of Italy and now impact the world. They are some of the most notorious and widespread of all criminal societies. There are several groups currently active in the U.S.: the Sicilian Mafia; the Camorra or Neapolitan Mafia; the ’Ndrangheta or Calabrian Mafia; and the Sacra Corona Unita or United Sacred Crown. We estimate the four groups have approximately 25,000 members total, with 250,000 affiliates worldwide. There are more than 3,000 members and affiliates in the U.S., scattered mostly throughout the major cities in the Northeast, the Midwest, California, and the South. Their largest presence centers around New York, southern New Jersey, and Philadelphia. Their criminal activities are international with members and affiliates in Canada, South America, Australia, and parts of Europe. They are also known to collaborate with other international organized crime groups from all over the world, especially in drug trafficking. These groups don’t limit themselves to drug running, though. They’re also involved in illegal gambling, political corruption, extortion, kidnapping, fraud, counterfeiting, infiltration of legitimate businesses, murders, bombings, and weapons trafficking. Industry experts in Italy estimate that their worldwide criminal activity is worth more than $100 billion annually. These enterprises evolved over the course of 3,000 years during numerous periods of invasion and exploitation by numerous conquering armies in Italy. Over the millennia, Sicilians became more clannish and began to rely on familial ties for safety, protection, justice, and survival. An underground secret society formed initially as resistance fighters against the invaders and to exact frontier vigilante justice against oppression. A member was known as a “Man Of Honor,” respected and admired because he protected his family and friends and kept silent even unto death. Sicilians weren’t concerned if the group profited from its actions because it came at the expense of the oppressive authorities. 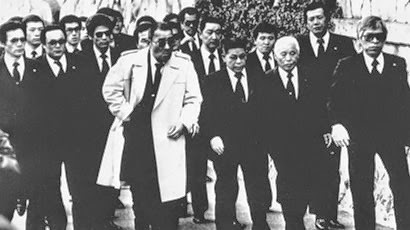 These secret societies eventually grew into the Mafia. Since the 1900s, thousands of Italian organized crime figures—mostly Sicilian Mafiosi—have come illegally to this country. Many who fled here in the early 1920s helped establish what is known today as La Cosa Nostra or the American Mafia. 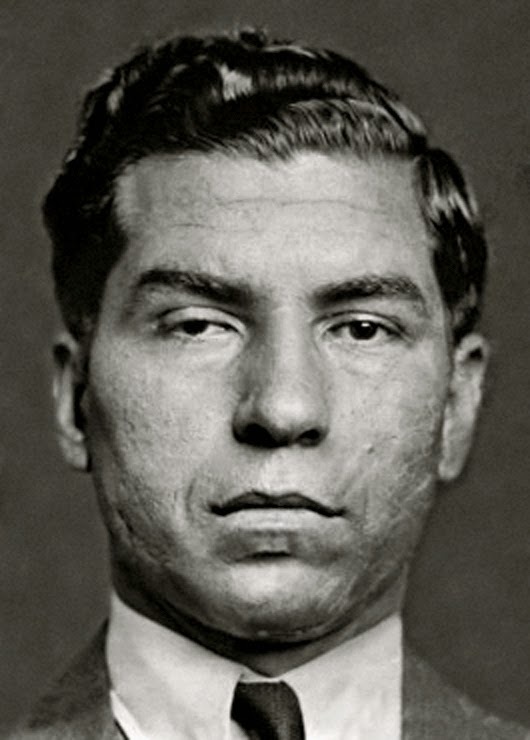 Charles “Lucky” Luciano, a Mafioso from Sicily, came to the U.S. during this era and is credited for making the American La Cosa Nostra what it is today. Luciano structured the La Cosa Nostra after the Sicilian Mafia. When Luciano was deported back to Italy in 1946 for operating a prostitution ring, he became a liaison between the Sicilian Mafia and La Cosa Nostra. The Sicilian Mafia formed in the mid-1800s to unify the Sicilian peasants against their enemies. In Sicily, the word Mafia tends to mean “manly.” The Sicilian Mafia changed from a group of honorable Sicilian men to an organized criminal group in the 1920s. In the 1950s, Sicily enjoyed a massive building boom. Taking advantage of the opportunity, the Sicilian Mafia gained control of the building contracts and made millions of dollars. Today, the Sicilian Mafia has evolved into an international organized crime group. Some experts estimate it is the second largest organization in Italy. The Sicilian Mafia specializes in heroin trafficking, political corruption, and military arms trafficking—and is also known to engage in arson, frauds, counterfeiting, and other racketeering crimes. With an estimated 2,500 Sicilian Mafia affiliates it is the most powerful and most active Italian organized crime group in the U.S.
On May 23, 1992, the Sicilian Mafia struck Italian law enforcement with a vengeance. At approximately 6 p.m., Italian Magistrate Giovanni Falcone, his wife, and three police body guards were killed by a massive bomb. Falcone was the director of Criminal Affairs in Rome. The bomb made a crater 30 feet in diameter in the road. The murders became known as the Capaci Massacre. Less than two months later, on July 19, the Mafia struck Falcone’s newly named replacement, Judge Paolo Borsellino in Palermo, Sicily. Borsellino and five bodyguards were killed outside the apartment of Borsellino’s mother when a car packed with explosives was detonated by remote control. Under Judge Falcone’s tenure the FBI and Italian law enforcement established a close working relationship aimed at dismantling Italian organized crime groups operating in both countries. That relationship has intensified since then. The word “Camorra” means gang. The Camorra first appeared in the mid-1800s in Naples, Italy, as a prison gang. Once released, members formed clans in the cities and continued to grow in power. The Camorra has more than 100 clans and approximately 7,000 members, making it the largest of the Italian organized crime groups. In the 1970s, the Sicilian Mafia convinced the Camorra to convert their cigarette smuggling routes into drug smuggling routes with the Sicilian Mafia’s assistance. Not all Camorra leaders agreed, leading to the Camorra Wars that cost 400 lives. Opponents of drug trafficking lost the war. The Camorra made a fortune in reconstruction after an earthquake ravaged the Campania region in 1980. Now it specializes in cigarette smuggling and receives payoffs from other criminal groups for any cigarette traffic through Italy. The Camorra is also involved in money laundering, extortion, alien smuggling, robbery, blackmail, kidnapping, political corruption, and counterfeiting. It is believed that nearly 200 Camorra affiliates reside in this country, many of whom arrived during the Camorra Wars. The word “’Ndrangheta” comes from the Greek meaning courage or loyalty. The ’Ndrangheta formed in the 1860s when a group of Sicilians was banished from the island by the Italian government. They settled in Calabria and formed small criminal groups. There are about 160 ’Ndrangheta cells with roughly 6,000 members. They specialize in kidnapping and political corruption, but also engage in drug trafficking, murder, bombings, counterfeiting, gambling, frauds, thefts, labor racketeering, loansharking, and alien smuggling. Cells are loosely connected family groups based on blood relationships and marriages. In the U.S., there are an estimated 100-200 members and associates, primarily in New York and Florida. Law enforcement became aware of the Sacra Corona Unita in the late 1980s. Like other groups, it started as a prison gang. As its members were released, they settled in the Puglia region in Italy and continued to grow and form links with other Mafia groups. The Sacra Corona Unita is headquartered in Brindisi, located in the southeastern region of Puglia. The Sacra Corona Unita consists of about 50 clans with approximately 2,000 members and specializes in smuggling cigarettes, drugs, arms, and people. It is also involved in money laundering, extortion, and political corruption. The organization collects payoffs from other criminal groups for landing rights on the southeast coast of Italy, a natural gateway for smuggling to and from post-Communist countries like Croatia, Yugoslavia, and Albania.